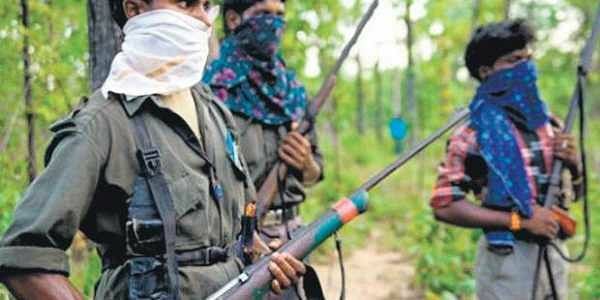 Tasked with developing a 250 km new ‘red corridor’ in the jungles of Chhattisgarh and Madhya Pradesh, the 60-strong Vistar Dalam (extension brigade) of CPI-Maoists is once again on the move and was spotted on the border of Kawardha (Kabirdham) district of Chhattisgarh and Mandla district of Madhya Pradesh recently. BHOPAL: Tasked with developing a 250 km new ‘red corridor’ in the jungles of Chhattisgarh and Madhya Pradesh, the 60-strong Vistar Dalam (extension brigade) of CPI-Maoists is once again on the move and was spotted on the border of Kawardha (Kabirdham) district of Chhattisgarh and Mandla district of Madhya Pradesh recently. The group of 10-20 armed Naxals, which included women, was seen multiple times in the area near Motinala village in Mandla. This has put the entire anti-Naxal security apparatus in both the states—including the special anti-Naxal operation forces, police, as well as the Indo Tibetan Border Police (ITBP)—on alert. “All anti-Naxal forces, including police in Mandla and Balaghat districts have been alerted following specific Intelligence inputs about recent movement by the Vistar Dalam cadre near Motinala,” said Inspector General of Police (Intelligence) Makarand Deuskar, in Bhopal. The movement of the Vistar Dalam assumes significance, as it comes close on the heels of the gunning down of two wanted Naxal extremists, Vinod and Sagar on February 9 in a joint operation by MP-Chhattisgarh police and the quick reaction teams of the ITBP on the Balaghat-Rajnandgaon border. The movement of the Vistar brigade was also reported a month after Ramesh, a deputy commander of one of two platoons of the brigade, was gunned down by the police in the same area on January 15. The security establishment has been on its toes since then apprehending reprisal attacks by the Naxals. “Since the penetration of anti-Naxal forces in Rajnandgaon-Balaghat forests has been incisive, particularly after the arrival of ITBP personnel, plans by the extension brigade of CPI-Maoists to execute a reprisal attack in Kabirdham-Mandla region cannot be ruled out totally,” said a senior police officer in MP. In MP, Left Wing Extremism has largely been confined to Balaghat district since the 1990s. Three brigades of CPI-Maoists, including Tanda, Darre Khasa and Malajkhand Dalams have been active in nine police station areas of Balaghat district of MP, which borders Chhattisgarh on the one side and Gondia district of Maharashtra on the other. In 2016, seizure of documents from Chhattisgarh forests revealed plans of the Vistar Dalam to create a new corridor from Kabirdham to Umaria via Mandla. The corridor was strategic for the LWE, as it could help them expand their base till Singrauli district and adjoining Sonebhadra and Mirzapur districts of East UP, considered a gateway to Prime Minister Narendra Modi’s Lok Sabha constituency Varanasi.